Craig and Lee were great! They found me a great car at an amazing price. Financing and warranty were offered, but not pushed. They gave me a more than fair trade in value. Everything was easy. They felt like they were treating me like family. I will send anyone who needs a vehicle straight to Hertel Auto Group! 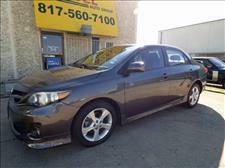 I have purchased about 8 cars from Hertel and have recommended them to many friends and family.  Craig is incredibly well educated in the car business and always gives great feedback to guide you toward a car that offers reliability at a great cost. Most importantly, you can trust that Craig will take great care of you after the sale. Most of his customers are long term clients that go back to him time after time. I would recommend Craig to anyone looking for a quality used car without hesitation. Absolutely Brilliant .... Easy way to buy a car Lee is outstanding and just what your looking for no false promises love you guys and will continue to use you and let everyone know about you thank you so much made my wife very happy we love the Mini! I just purchased a car there for my daughter. I had an excellent buying experience. There was no hassling with prices, they told me their best price when I asked. The paperwork to purchase took all of 30 minutes!! I am very happy. It was by far the easiest car deal I have ever had and didn't feel dirty or worked over when I left. The people here are so nice and totally upfront about the vehicles. They tell you about the good AND the bad. They're quick and very professional and quite frankly, if I ever need another car, I will go back. 1000% recommended!! 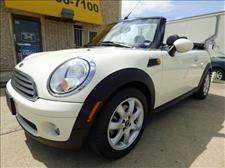 Fair, carfax oriented, cleanest possible vehicles available. Lee was the most patient, no pressure salesman i have ever met, and I've spent 15 yrs in the car business. Cars thoroughly inspected and usually the best condition for the $. Bought a Honda CR-V. Process was smooth and fast. Very satisfied customer. Appreciate your service and business. We had an excellent experience. Craig found exactly what we wanted. We love the car and the deal we got! I recently purchased a wonderful little PT Cruiser here. It's in beautiful condition and very reliable. I could not be more pleased with the service and professionalism of the folks at Hertel Auto! Thanks so much!! I love my new ride! I want to thank Hertel Auto Group for a trouble free transaction when purchasing a car for my son. I am out of state and it couldn't have gone better. Lee met my son for a test drive on a Saturday and even stayed after hours on the following Monday so my son could pick up the car after work. Lee is a true southern gentleman who knows how to treat a customer. When it's time for my truck, I will come back. Pure southern hospitality. Thank you. 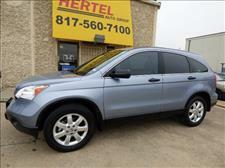 Every vehicle on Hertel's lot is in great shape and an excellent value. 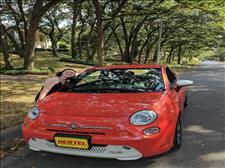 I test drove 3 and fell in love with a little Fiat 500e. I had an awful time getting financing from my own lender and the process ended up taking what seemed like forever, but Lee was patient and supportive through it all! He and Craig made sure that I was able to walk away with the perfect car and I will forever be grateful. It was seriously the best dealership experience. My parents previously bought a car for my younger brother here and had a great experience, which is what brought me in to Hertel. After my own excellent experience with them, I think it's safe to say that they will always be the first stop for anyone in our family looking for a used car. Been doing business here for years. Recommend them to any friend buying a car. Craig and Lee obliterate the shady car salesman stereotype. These folks are honest and helpful. 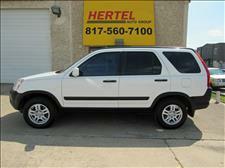 We have bought 2 vehicles from Hertel Auto Group and the experience was awesome! The whole team is very friendly and the process was smooth. Will be back as more of the kids get their licences. Best used car buying experience we have ever had. Lee was great to deal with and very kind. Everyone was very friendly and knowledgeable. We will look here first when we are ready to buy again. I have never had such an easy and painless experience when purchasing a used car! This dealership is honest and trustworthy with a small selection of really decent cars, very reasonably priced. We bought a car for our son (it was the first one we drove) and will definitely be coming back any time we need a used car. Definitely recommending to my friends! We have purchased two cars from this company now. The owner Craig is a very honest man and I bought from him instead of paying high dealership prices. He went above and beyond to take care of us. They have reasonable prices and nice cars. We are now in the market for our third car through them. I would definitely recommend them and give them 5 stars!!! Easiest car buying experience I've ever had. Lee was friendly, knowledgeable and treated us like family. Great experience start to finish. My mother and I drove from Amarillo to Ft. Worth, w/ the purpose of buying a vehicle. Also to visit my Sister and Brother-in-law! Anyway we had been all over, finally to Craig and Lee! May I say that these two Gentlemen went Above and Beyond to be HONEST, TRUSTWORTHY, And, RESPECTFUL! Thank you Kind Sirs! There are not very many of you left!!! Awesome dealer! Extremely pleased with my new vehicle, these guys were helpful and patient with my never ending questions. They handled everything like pros. All the cars at their lot were nice, I drove 3 hrs to buy from these guys and I would absolutely use them again. Thanks guys. Had a great experience with my recent F150 purchase from Craig and Lee. Both were extremely pleasant and honest. Highly recommend Hertel Auto Group. This is a sincere dealership with the most reasonable prices! Bought a 2002 mustang GT & I am extremely satisfied! Recommend this place to everyone! Fast paperwork, friendly service. Ideal place. Coming back soon! We are 4 time repeat customers! 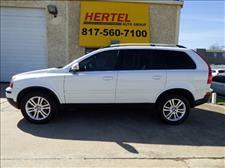 Our family loves Hertel Auto Group and highly recommend them to all of our friends and family. They are honest, knowledgeable, and trustworthy! Thank you, Hertel, for making car buying fun and stress-free for us!